Delivering improved health outcomes and containing costs in remote health management through medical triage. Over 22 years of telehealth solutions throughout the continuum of care. Accolades in innovation, business excellence, customer service and reliability set our clinical technology apart for triage protocols, communications, biometric monitoring and information technology. Empowering individuals to make informed decisions about their health. Transforming the delivery of healthcare. Using technology to extend the reach of healthcare professionals.  The unique value Fonemed offers is the ability to support patients, providers and payers by combining all elements of telehealth. Robust and scalable remote healthcare cloud solutions and health information technology infrastructure. Redundant web-based and wired communications systems. A continent-wide roster of clinicians with licenses and specialties to support clients’ applications. Clinical Thompson Schmidt protocols and programs designed for remote applications. The GSM Assoc. for Best Mobile Applications for Development. The Cellular Telecommunications Industry Association for Hottest Consumer Product. Nurse advice line staffed by Registered Nurses. Personalized wellness programs at work, home, school and in retirement. The remote healthcare revolution has begun. 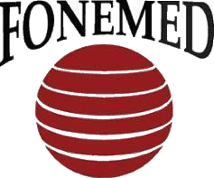 From the people who brought you 24/7 nurse advice line via phone, Fonemed now provides health cloud solutions and remote healthcare software for employers and companies worldwide. Let us show you how to transform lives one call or click at a time.